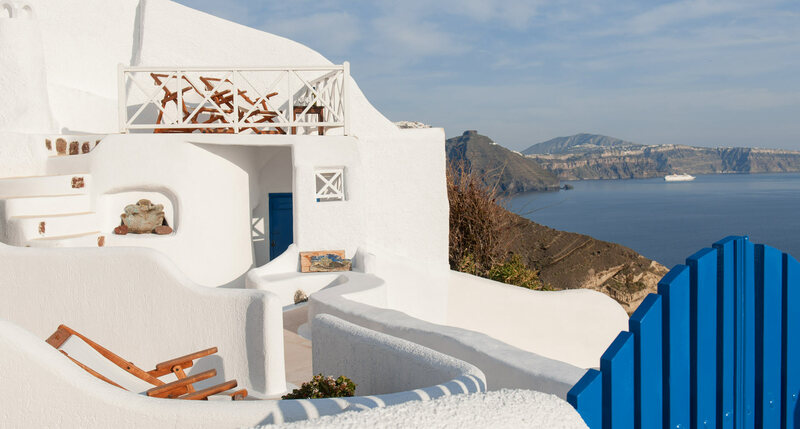 There are few sights more idyllic than looking out your window over the mysterious beauty of the Santorini caldera and the deep blue waters of the Aegean Sea. Whether it drives you to go out and explore that day or comforts you while you take a day of quiet relaxation, it’s these kinds of views that can only be found in Oia, Santorini. Oia can be a dream destination for your Santorini, Greece vacation for several destinations. The perfect views of the caldera are just one of them. Here you can take the long steps down to Ammoudi Bay or have a picnic at Castle Oia before watching the beautiful burnt orange sunset. Visit the wineries or any of the classic blue-domed churches. Often believed to be one of the most beautiful villages in Santorini, with the most beautiful sunset in the world, you’ll want to spend a considerable amount of time in Oia, Santorini, Greece. It only makes sense to stay there. It’s important where you stay and what accommodations you choose. There are a number of hotels in Oia, Santorini, Greece. Strogili Traditional Houses is different because it offers Santorini apartments and Santorini studios rather than a hotel. With Santorini apartments and Santorini studios, you can feel more at home with your own private bathtub, and veranda. 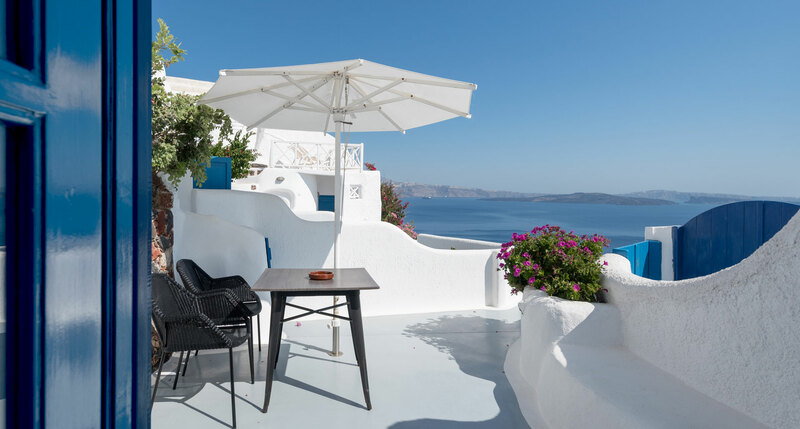 These accommodations help you to feel more like you’re living in Santorini than just passing through. The question is whether to choose an apartment or studio. The main difference between Santorini apartments and Santorini studios is space. While apartments have a living area, studios in Santorini are more compact, best for two or three occupants. They have the same amenities: hair dryer and iron, mini fridge, TV and phone, but all in a small, open plan design. 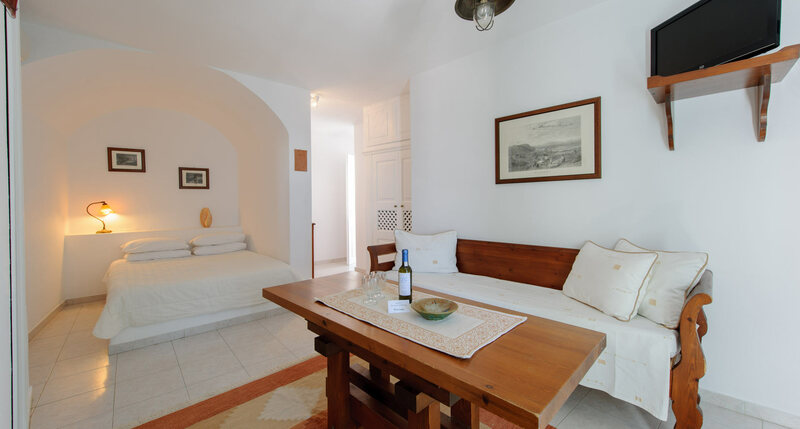 These studios are ideal for Santorini honeymooners or individuals who simply enjoy travel. Travel can be expensive, and Santorini studios can be one way to spend more economically. Strogili offers two different types of studios: standard studios and superior studios. Strogili Traditional Houses has an ideal position in Oia, Santorini. Our Santorini studios overlook the caldera and vas ocean views, and our building is close to a number of shops and restaurants, as well as the bus. All rooms at Strogili are able to enjoy the large public pool in the summer, maid and room service, and car and boat rental. WiFi internet access and wake-up calls are also included. Best of all, the surroundings of Oia, Santorini make for the perfect holiday whether our guests seek relaxation or adventure. The quality of your Santorini stay depends on the accommodations you choose. Strogili Traditional Houses has a capable, friendly staff and excellent choice of rooms. 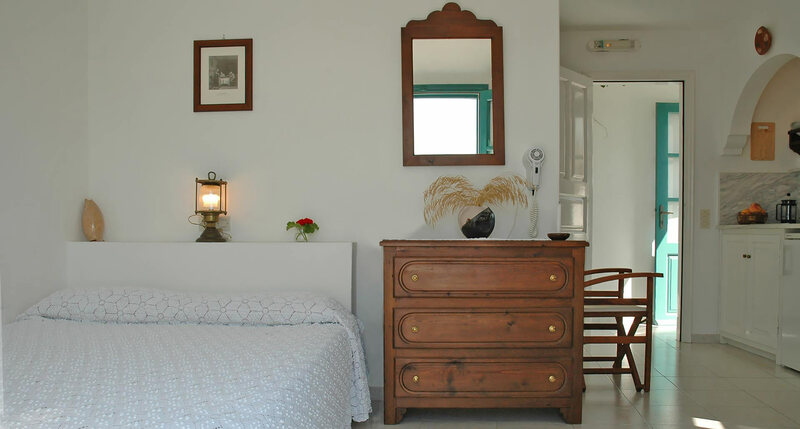 Whether you’re interested in standard studios or superior rooms in Santorini, we can provide a homey, authentic experience for your Santorini holiday. Book your studios with Strogili Traditional Houses today.